The “For the Love of Egypt” alliance won 60 list-based seats in the first phase of the Egyptian parliamentary elections, according to the High Elections, making it the only alliance so far to secure seats. The group won 45 seats in ‎Giza and Upper Egypt and another 15 in the West Delta. 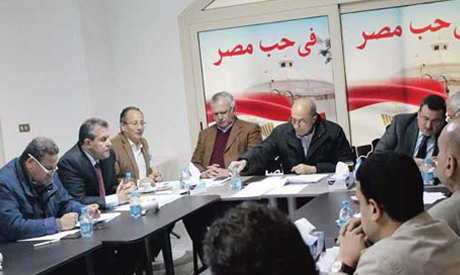 Mostly made of non-party affiliated members, the pro-Sisi list was led by ex-intelligence officer Sameh Seif El-Yazal. It includes members from several parties including the Free Egyptian Party, the Future of Homeland, the Wafd Party, the Conference Party, the Reform and Development Party and the Conservative Party. The majority of its independent members are public figures, ex-military or police officers or former NDP members. 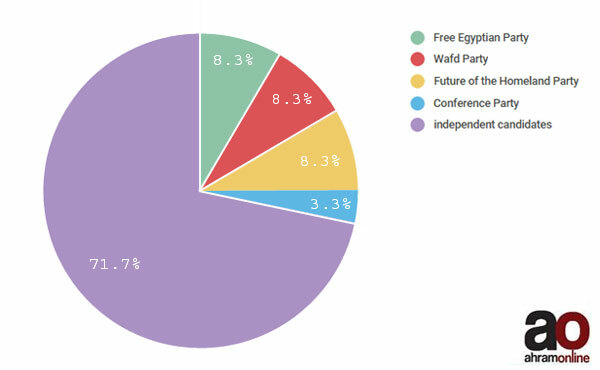 The Free Egyptian Party, the Wafd Party and the Future of Homeland Party each secured five seats through the list in the first round and the Conference Party secured 2 seats. The rest of the 43 individual candidates won the rest of the seats.